I am writing from Fidel country, Cuba. 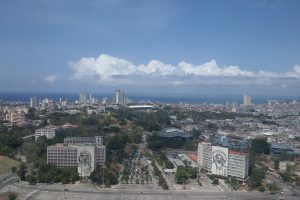 I am based in the centre of Havana, close to old Havana – the centre of the original colonial city and the main tourist attraction. From my balcony facing onto the street Cuban life passes by; despite the initial culture shock when I arrived (made worse by being sick) it is cool to be here. To my surprise Havana is quite run down, some parts are a bit like a warzone with mere crumbling frames where buildings once stood. Even in Old Havana where the centre has been restored you can find these decaying buildings that hark back to a different era. Still, there is a good buzz in Old Havana; one of the things I enjoyed most was sitting in a café bar having a couple of beers listening to local Latino bands. There is a place I went to near Café Paris that has a different band every day. 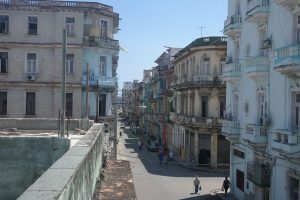 As for the people in Havana my experience has been mixed, something that was shared by other foreigners I spoke with. I would not say they are the most welcoming or friendly people I have met but I did meet some nice people. Tourists are very much seen as walking ATMs but some of the locals I came across lack a bit subtlety and service that you might expect in a place where tourism is the best hope of making some money. 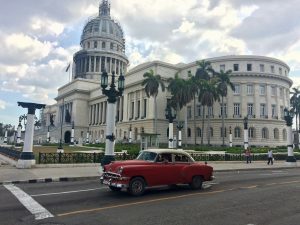 Perhaps their general vibe is a reflection of the fact that while Cuba is a glimpse into the past for tourists the Cubans have to actually live the life there on monthly salaries of $30 – $80 USD. 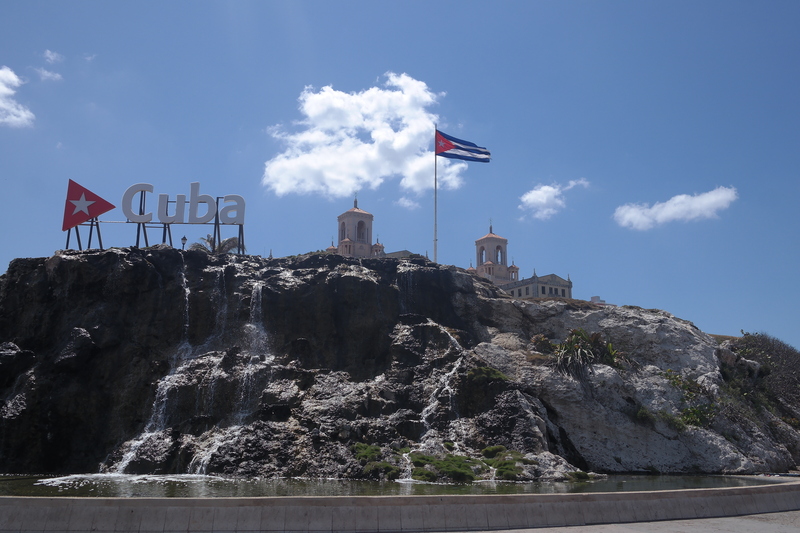 Still, it is a very interesting place to visit given the history of Cuba, particularly the most recent history, and to witness first-hand how it stands today. I must have walked every inch of the city, some days walking 15-16K. Of course there are various sights to see, but in general I found it to be a thought provoking place from a historic and social economic perspective. Everywhere you are reminded of the victory of the revolution – the memorials, murals, the local communist paper etc. – but also how things have transpired since – the run down looking city, the old Russian and American cars and most of all the pervading influence of the State. It definitely gives you a lot to ponder; but it is hard to know what the lesson is really or what the definitive truth is, if there is one? 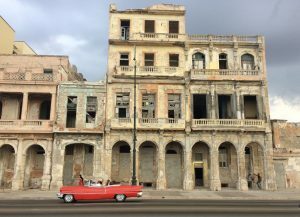 Does Cuba’s economic position bear witness to the failure of socialism as an economic system? Or is it merely a reflection of a system doomed to failure under the oppression of their superpower neighbour? Was Fidel Castro an idealist or just a power hungry dictator? There are many questions and many answers. An old Cuban who I bought a book from (“El Socialismo Y El Hombre En Cuba” by Che Guevara) told me that Fidel was his salvation because he was given access to education, something that would not have been possible under the previous regime. I asked him what Che would think if he could see Cuba now, whether he would see it as a failure given the poverty in the country. ‘Che would be happy with Cuba now, but he would still be fighting’. That is the problem I thought to myself, all these years later Cubans are still fighting for survival. On the other end of the spectrum a young Cuban who I spoke with, someone who has only known this system, gave a blunt assessment. ‘Everything is theory; it does not work in practice’. When I asked him whether US influence was to blame he agreed that it was part of the issue but ‘Cuba’s internal problems are of their own making’. ‘Cuba is complicated’ he concluded. A fair summation! Another day I played street football with some local lads (early 20’s), games of 3 v 3, down near the Malecón in Old Havana. (As I have said before football is a universal language!) One of the guys – 20 years old, married and expecting a kid – was just resigned to that fact that ‘this is the way things always have been and I cannot change anything’. That resignation is kind of sad because if large parts of a population feel that way nothing will ever change. Of course that mindset is not limited to Cuba. Many of those who would like to see the capitalist system change for the better feel the same way. Ironically, the old American cars are the best source of income in Havana. 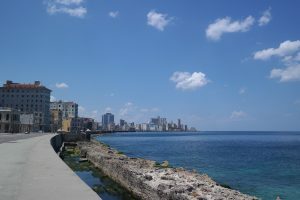 Overall, Havana is full of contradictions and it would take longer than a week to really understand the place I am only scratching the surface in the short time that I am here. The refurbished old cars left behind by the Americans they expelled, of every colour with a sparking shine, against the backdrop of dilapidated buildings in some way is kind of symbolic of a government that is clinging to its victorious history but to the point that the people of Cuba are stuck in this history. On the way to the airport, in the old 1950s car, I reflected on my week in Havana and wondered how Cuba will change in the coming years. “Do you think Cuba will change much in the coming years?”, I asked the driver Roelmer. ‘But the Castros will be gone’, I responded. “No importa” (It doesn’t matter), he said with a shrug of the shoulders.